Eye problems from the sun’s ultra violet rays are something that everyone should be concerned with, yet according to a new nationwide survey, only 31% of people protect their eyes with sunglasses or other UV-protective eyewear when they go outside. 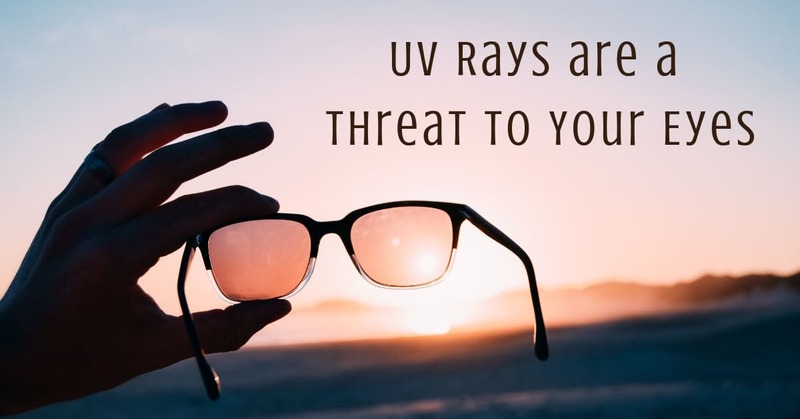 The survey was based of more than 10,000 adults, and found that 34% of adults have experienced the negative effects of prolonged UV exposure, such as eye irritation, trouble seeing, and red or swollen eyes. Justin Bazan, OD, medical adviser to The Vision Council says “UV damage to your eyes can start in as little as 15 minutes.” Sadly, many Americans have a passive relationship with their sunglasses, and don’t realize the dangerous health consequences that can occur from overexposure to the sun’s rays without the adequate eye protection. Why Don’t People Where Their Sunglasses? Even though people fear vision loss, taking the protective measure of wearing sunglasses does not seem to be a high priority. Sunglasses are often forgotten or just not kept on hand, while the protective value of sunscreen and hats to shield skin from UV damage seems to be more frequently practiced. In the survey, Americans were much more likely to identify the long-term effects of the sun on skin – such as skin cancer and sunburn – compared with the serious UV impacts on vision. In fact your eyes can be sunburned as well. These misunderstandings about the importance of eye protection are putting people’s vision health at risk. Dangerous sight-threatening disorders, such as cataracts and macular degeneration, are associated with longer-term eye damage, but short-term effects of UV can be felt after spending a long day outside or even after a few hours of intense, unprotected exposure. These irritating and painful conditions include photokeratitis (sunburn of the eye) and pterygium (a growth on the surface of the eye), and cause eyes to become bloodshot, irritated, swollen, or hypersensitive to light. While everyone is at risk of sun-related eye problems, the threat is highest among people who spend long hours in the sun, have certain retina disorders, have had cataract surgery, and are on certain medications—such as tetracycline, sulfa drugs, birth control pills, diuretics and tranquilizers—that increase the eye’s sensitivity to light. People’s personal habits and excuses may be to blame for this eye protection negligence – many are only sporting sunglasses when they are outside for two or more hours. It is most important to protect your eyes during outdoor activities in which UV-eye protection is vital, between the hours of 8 to 10 a.m. and 2 to 4 p.m. Only 14% are likely to wear sunglasses while watching outdoor sporting events and only 44% are likely to wear sunglasses at the beach. UV radiation is present throughout the year, on both sunny and cloudy days. Further, elements such as water, grass, concrete, and snow can powerfully reflect UV light, which can be virtually as harmful as direct UV. The study also found that Americans place comfort and affordability before UV protection when purchasing sunglasses. To mitigate the risks of UV-related eye damage, The Vision Council recommends applying your knowledge – Make UV protection a crucial consideration when buying sunglasses. Don’t forget to consider your options – Look for lenses and frames designed for specific activities and lifestyles and purchase sunglasses only from a reputable source. Make sure to look for a label on the lens or frame indicating UVA and UVB protection. The better you can protect your eyes now the sharper they will stay in the future. Protect your eyes, and visit us at CC Sunscreens to make your deck and backyard safe from harmful UV rays for you and your entire family.